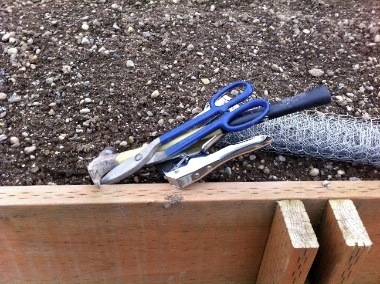 I think I'm going to stop posting garden projects as separate projects. It's really one big project. 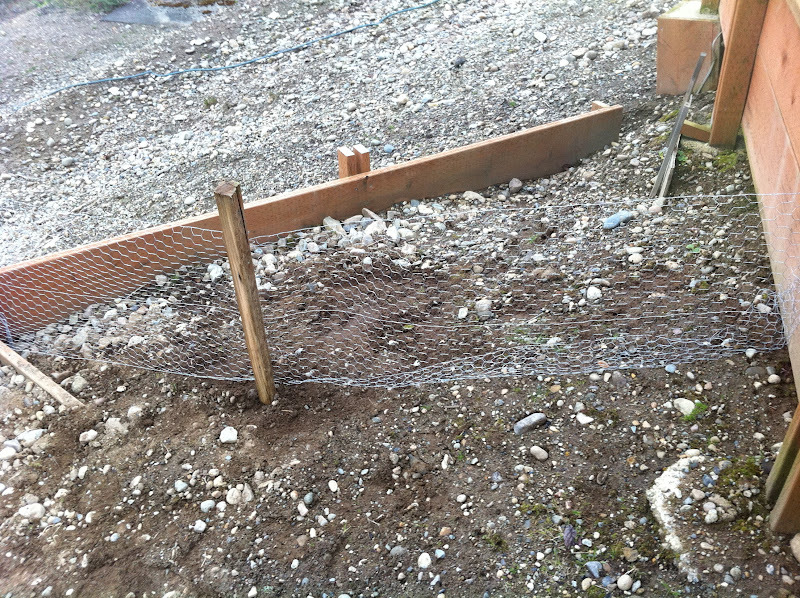 This weeks portion of the garden project was to put up a fence on tier 2 to keep the small varmints out (mostly rabbits and a few raccoons). I know it doesn't seem like much but it did take a while and was necessary. 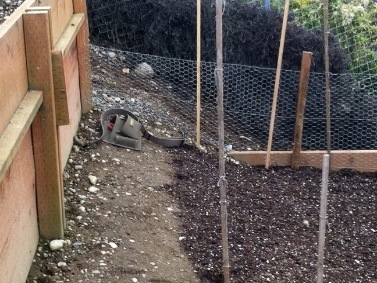 Noticed the peas are starting to come up - you can't quite see them in the photos. This weeks project was to hook up the speakers in my living room to my computer. I'm tired of swapping CD's in the living room to listen to what I want. I've been putting all my music on my computer through iTunes (copying all the old CD's and I'm even going to purchase a turn table to convert my LPs - yes I'm that old - to MP3's so I can keep them on my computer). 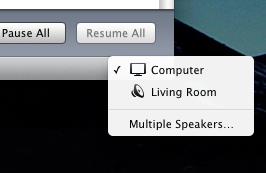 I want to be able to play any of my music anywhere in the house, but to start in the living room. I'm a bit of an Apple Fanboy. Yes you could get something almost as good for less money but it's that "almost as good" that I just don't have time for anymore. Don't get me wrong. I love gadgets and I love geeking out. I've built linux servers from components and developed custom builds of the operating system. I wired my whole house with CAT 5. I built a full local area network including a SAN throughout the house. I put in a secure wireless network for guests and laptops. You can stream movies to any of my TV's. And all this was a lot of work. Hours and hours of learning and configuring. If you don't count my time I saved lots of money too. The Apple airport express. It's $100. It has an ethernet port, a usb printer port, and a speaker port. You can stream music wirelessly. 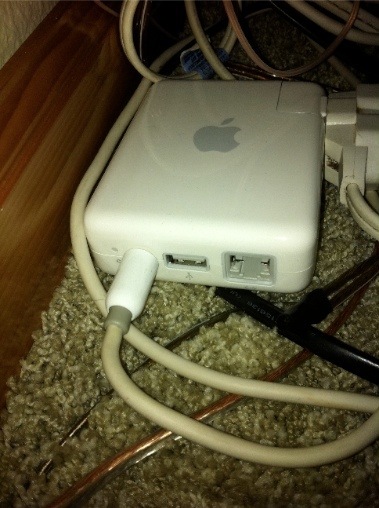 I thought I could stream music from my computer, through the wireless network, to the apple airport express and into my speakers (via the speaker port - the one with the jack in it below). I'd already set aside four hours for this so I figured I'd give it a try. 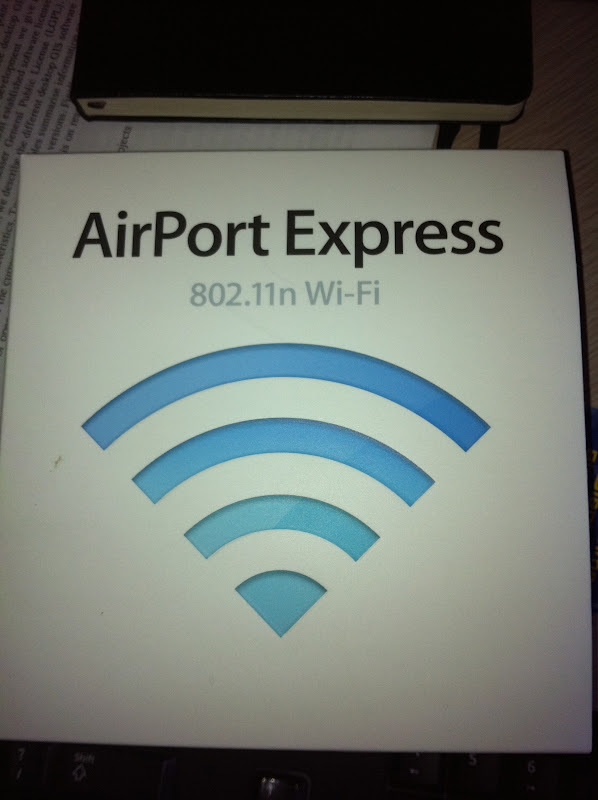 A friend had loaned me his airport express so what the heck. Long and short of this is it took me 5 minute to hook this all together. And it worked perfectly. It was so ridiculously simple it's not even worth describing - just read the directions. From my computer I can now stream music to my living room. Using my iPhone and the Apple Remote product I don't even have to be near my computer to do this. Going to hook up the family room downstairs and the outside speakers next. At $100 per room I'm still way ahead when you consider my time (and probably even equipment costs). See if my friend ever gets the loaner airport express back ;-). 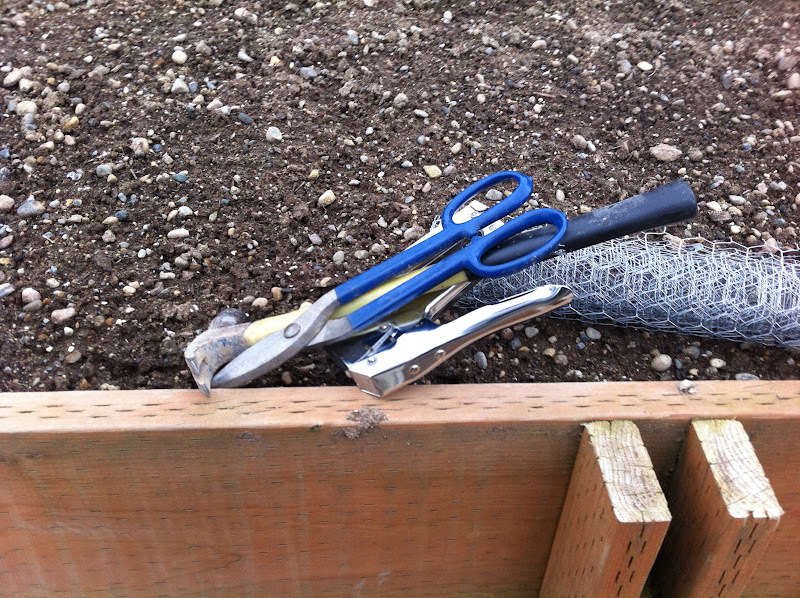 Project Update: Seeds are growing! My Garden is starting nicely. I'll probably transplant this week to bigger pots (still too cold for outside - though I did plant peas and fava beans outdoors this past weekend).